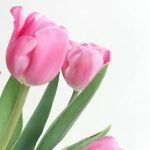 Today I’ve got, what just might be, one of the easiest tips I’ve shared on this blog. 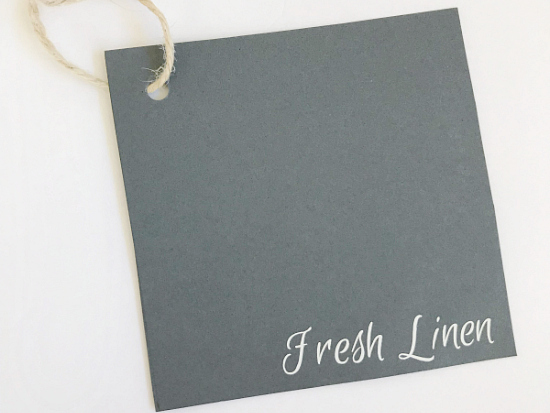 We all want our clothes and linens to smell fresh and clean, right? 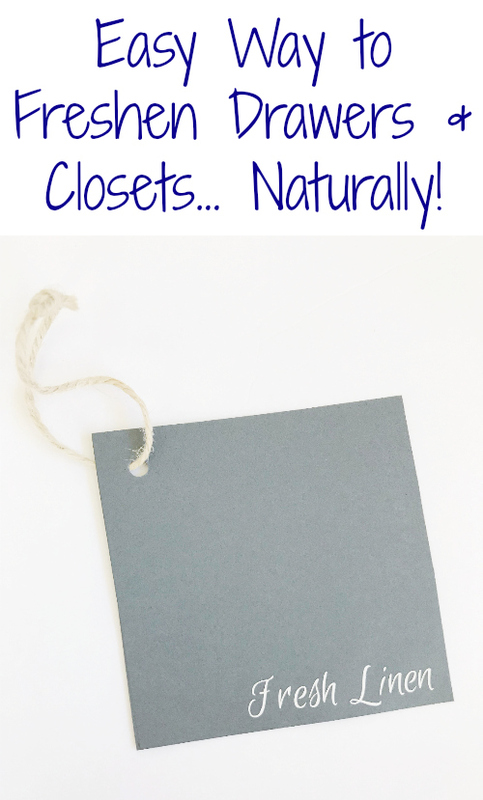 Quite awhile ago, I shared a tutorial for making a simple lavender sachet to add to a drawer or closet, and I truly love how they turned out. But, what if you don’t love the scent of lavender, or you want a more masculine scent? 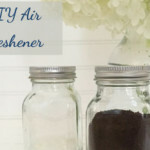 Here is one of the easiest ways to accomplish that… and you can change out the scent every week if you want. 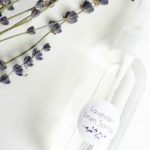 Essential Oil- Whatever scent you fancy… Not sure where to buy essential oils? Check out this post. 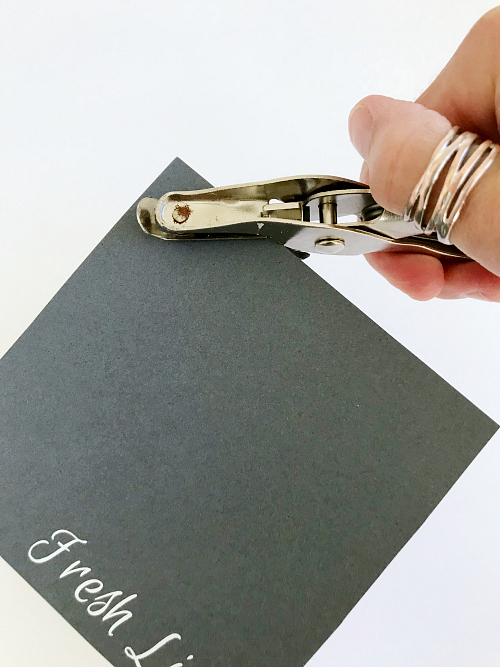 Start by cutting a piece of contact paper a little larger than your cardstock. Apply the contact paper to the bottom of the drawer where you’d like to place your freshener, as this creates a barrier between the oil and the drawer. 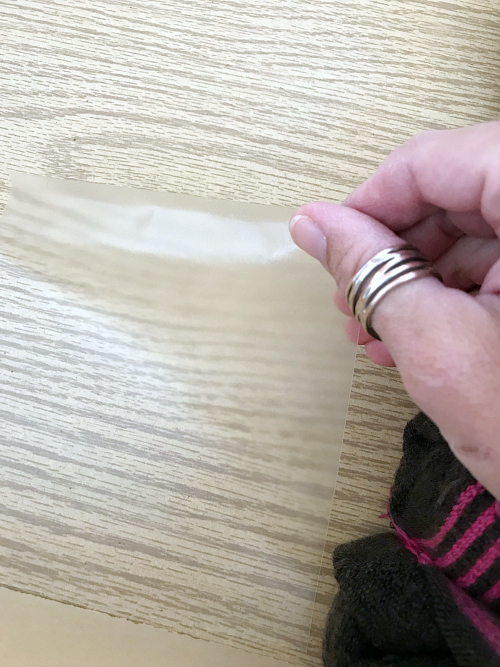 Next, fold a paper towel until it matches the approximate size of your cardstock, and place it on top of the contact paper to help absorb any excess oil. 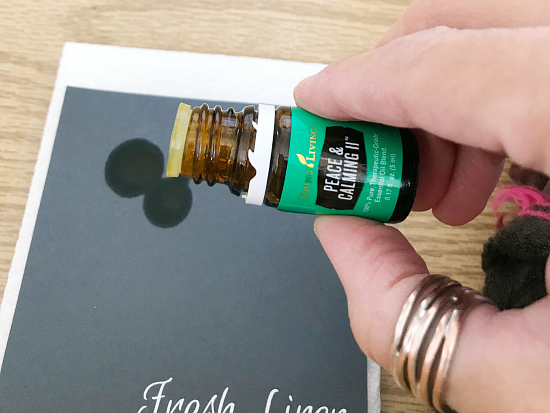 Place the cardstock on top of the paper towel, and add a couple drops of your favorite essential oil to the cardstock piece. I decided to go with one of my favorite blends for my sock drawer: Peace & Calming II™. Close the drawer and you’re done. The scent will last approximately 5-7 days. 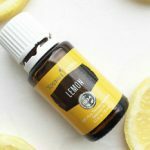 Once you notice the scent dissipate, you can add a few more drops of the same oil, or go with something new (although I would recommend a new paper towel and cardstock piece if changing the oil). 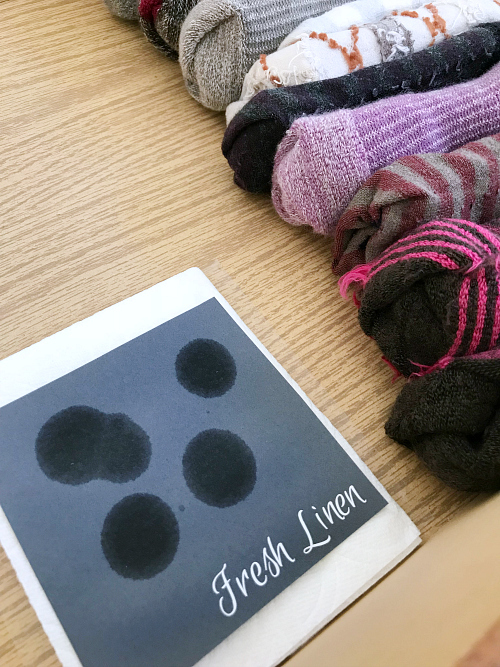 Essential oil will create an oil stain on clothing and linens, so make sure nothing is touching the cardstock and paper towel. 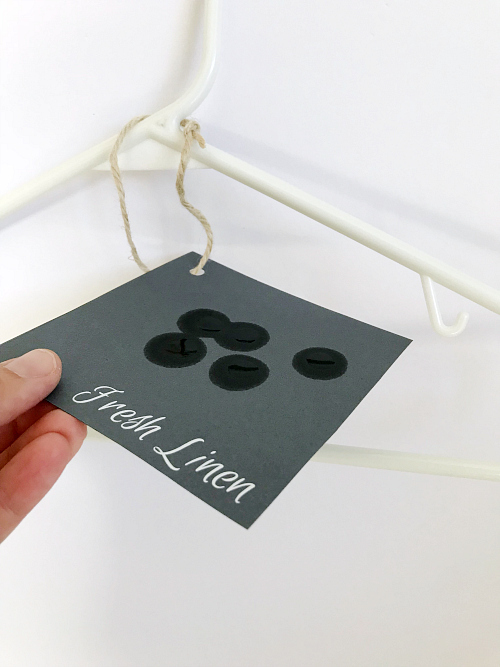 Take your piece of cardstock and create a hole in the corner with a hole punch. Thread some twine through the hole and tie it off to create a loop. Place the looped twine around a hanger. 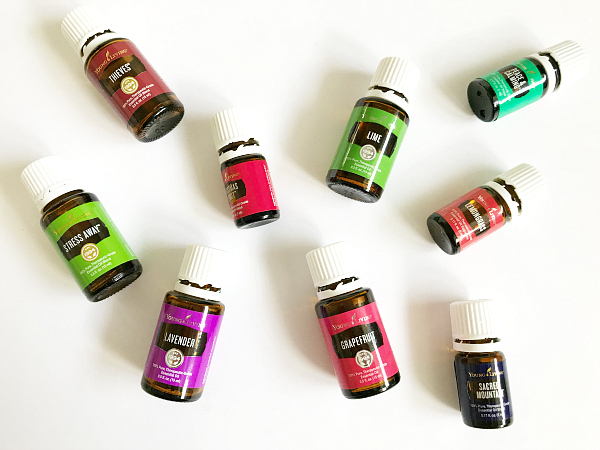 Holding the cardstock horizontally, add a couple drops of your favorite essential oil. Allow it to absorb into the cardstock for a moment so it doesn’t drip. 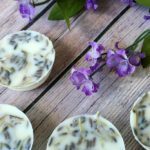 If you are using real essential oils, they will quickly absorb. You’ll notice a dark middle that quickly fades within a few seconds. Once the dark center is gone, you can hang without fear of drips. Add a couple more drops when you notice the scent start to fade. If you are using these in a large, walk-in closet, you may want to hang 2-3 for maximum effect. Is it weird that I like Peace & Calming 2 better than 1? I think I’m in the minority, but that’s okay. I use Purification in my trash cans (on a cotton ball 🙂 ) I love so many of the blends that are offered.